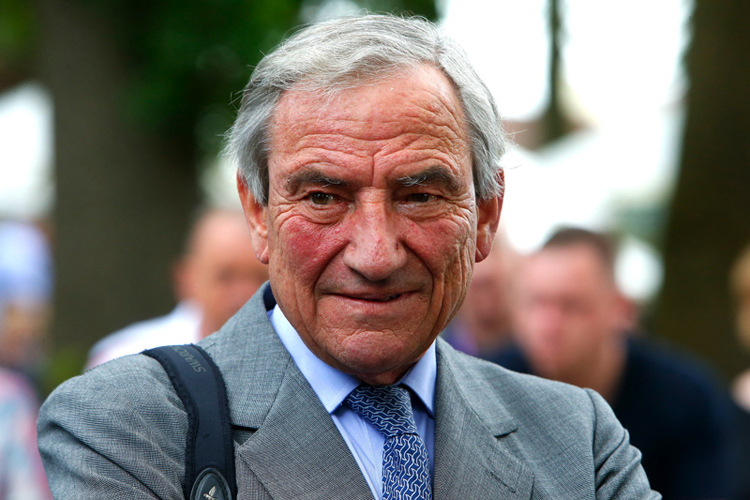 As Newmarket’s third longest-serving trainer – only Sir Mark Prescott and Sir Michael Stoute have held their licences for longer – Luca Cumani is very much part of the British training establishment. Commanche Run’s victory in the 1984 St Leger and then the Derby wins for Kahyasi in 1988 and High-Rise in 1998 have cemented Cumani’s place in the history of Britain’s classics, but the Milan-born trainer has always had an eye for opportunities further afield. Naturally, Italy has often figured in Cumani’s running plans overseas. Indeed, his very first Group 1 winner, predating his British classic victories, came in Rome when the appropriately named Old Country won the 1982 Derby Italiano. The Group 3 win registered by the filly Khor Sheed at Milan in 2011 might have had less status but it was no doubt a success close to her trainer’s heart as it came in the Premio Sergio Cumani, a race named after his father, ten times champion trainer in Italy. One of Sergio Cumani’s main owners was the lawyer Carlo d’Alessio who also enjoyed high-level success in Britain where his horses were trained by Henry Cecil. Bolkonski and Wollow won consecutive 2000 Guineas in the 1970’s, while Le Moss was a top-class stayer in the d’Alessio colours. Those Guineas winners were both ridden by Italian champion Gianfranco Dettori who was also in the saddle for the first of Luca Cumani’s more than 2,000 wins in Britain, Three Legs in the 1976 Duke of York Stakes. 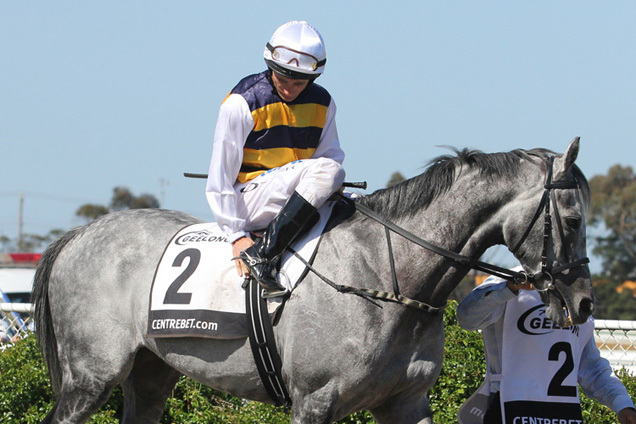 Cumani took out his own licence that year having previously served as Cecil’s assistant. 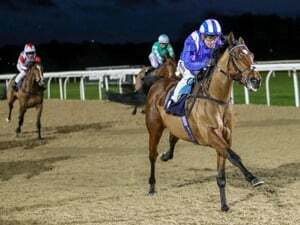 Three Legs had begun his career in Italy, but Cumani’s greatest import from back home, surely, was the teenage son of Three Legs’ rider, Frankie Dettori, future champion apprentice and stable-jockey for the yard. Cumani’s first major international victory came in 1983 with the Carlo d’Alessio-owned three-year-old Tolomeo in the Arlington Million. In pre-Breeders’ Cup days, the Chicago contest was the world’s richest race, with a $600,000 first prize equating to £400,000 at prevailing exchange rates. Dismissed locally as a 38/1 outsider, despite a string of near-misses in big races back home, the Pat Eddery-ridden Tolomeo held on to beat the prolific American gelding John Henry by a neck. At a stroke, Tolomeo moved into second in the list of British-based money earners. Tolomeo made history in an era when British victories in major North American races simply didn’t happen – or at least, not since 1969 when Karabas had won the Washington D.C. International. The advent of the Breeders’ Cup has made transatlantic success more commonplace, but even in the early years of the meeting British success was rare. In fact, Cumani remains the only British-based trainer so far to have won the Breeders’ Cup Mile, doing so in 1994 with the previous season’s Irish 2000 Guineas winner Barathea, ridden by Frankie Dettori. Preparation for the race included his trainer setting up a replica of the tricky first turn at Churchill Downs on Newmarket Heath. ‘Barathea has a record which demands high praise for his trainer’ concluded his essay in Racehorses of 1994. 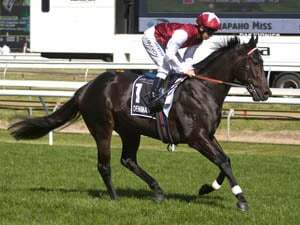 Falbrav went close to giving Cumani another winner at the Breeders’ Cup in the 2003 Turf but came off third best in a terrific finish, caught close home to be beaten just a head by the dead-heaters High Chaparral and Johar. Five-year-old Falbrav enjoyed a superb campaign that year, winning the Prix d’Ispahan, Eclipse, Juddmonte International and Queen Elizabeth II Stakes prior to the Breeders’ Cup and being named Timeform ’s Horse of the Year. He hadn’t finished winning, though, and in his tenth Group 1 of the year, ended his career on a winning note under Dettori in the Hong Kong Cup. ‘I have never trained a horse as good as this and I’ll be very lucky if I ever train another as good’ said Cumani of Falbrav, whom we rated 133 that season. Dettori and Falbrav had teamed up to win the Japan Cup the year before when Falbrav was still trained in Italy, but it wasn’t long before Cumani found a Japan Cup winner of his own. Surprisingly, perhaps, he was lurking in the stable of Newmarket neighbour Sir Michael Stoute. Alkaased’s only win had come in a four-runner maiden at Ripon by then, but he showed huge improvement over the next couple of seasons after joining Cumani at the 2003 Autumn Sales for just 42,000 guineas. Winning the Grand Prix de Saint-Cloud along the way, Alkaased rounded off his career as a five-year-old by winning the Japan Cup, another of Cumani’s major victories in tandem with Dettori, this one by just a nose. No stable outside Japan has won the race again since. Last but not least among our pick of Cumani’s successful globe-trotters is Presvis, a gelding who epitomised his trainer’s philosophy, as he put it himself, of racing ‘in Britain for prestige and abroad for money.’ With no future stud career to advertise, Presvis enjoyed a lucrative career overseas, mainly with Ryan Moore in the saddle. 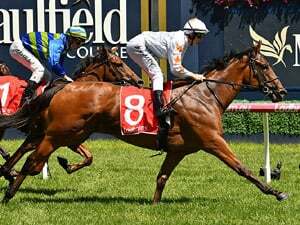 Together, they won at least once at three consecutive Dubai Carnivals, landing the very valuable Dubai Duty Free in 2011, while another Group 1 came two years earlier in the Queen Elizabeth II Cup in Hong Kong. As he had been in Tolomeo’s year, Cumani was the leading British-based trainer on foreign earnings in 2011, while Presvis himself retired with a record career total for a British-trained gelding of more than £4m. Having won so many other top international prizes, the Melbourne Cup was one race which evaded Cumani’s grasp, though – at the time of writing at least – he can claim to have come closer to winning it than any other trainer based in Britain. Purple Moon had been running over hurdles before joining Cumani for whom he won the 2007 Ebor and went on to be beaten half a length in that year’s Melbourne Cup. Closer still, however, was Bauer’s near-miss twelve months later. While the photo revealed that it was rival Viewed whose nose was just in front at the line, the timing chip in Bauer’s saddle showed that he had recorded a time a hundredth of a second quicker than the winner! Bauer’s smaller stature accounted for the anomaly.